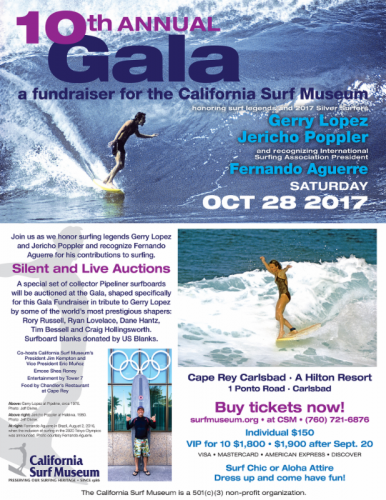 The California Surf Museum in Oceanside, California is bringing some surf royalty to Carlsbad when they hold their 10th Annual Gala at Carlsbad’s Cape Rey Hilton on October 28, 2017. The event will honor Gerry “Mr. Pipeline” Lopez, Jericho Poppler, and Reef co-founder and International Surfing Association President Fernando Aguirre. If these names ring any bells, and you’d like to spend an evening with them and other surfing greats without leaving Carlsbad, then click the link to purchase some tickets. 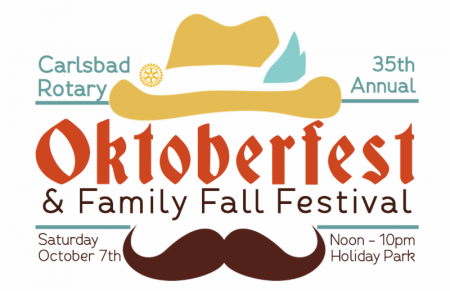 Tickets are $150 each and include dinner, entertainment, and the chance to bid on amazing surf items in silent and live auctions, all in support of the Surf Museum.